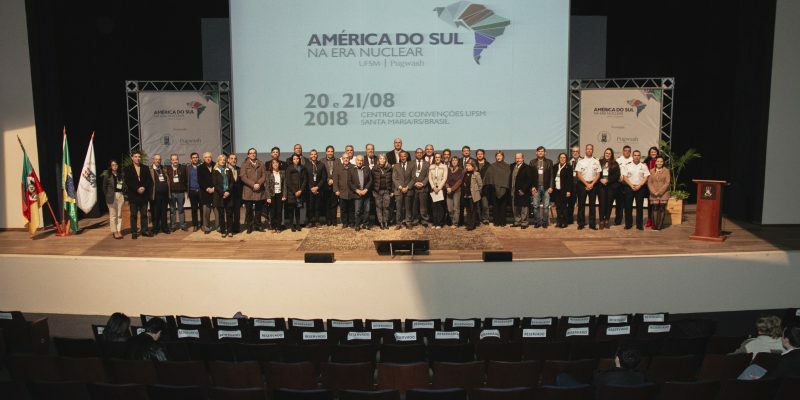 In March 2018 the seminar “South America in the Nuclear Age” was held under the joint sponsorship of Pugwash and the University of Santa Maria (UFSM) in the southern state of Rio Grande do Sul, Brazil. During the two-day event, issues such as cooperation in the nuclear field among countries in the Southern Cone of the region, the contribution of South America to multilateral disarmament efforts the role of civil society organizations, academic institutions and scientists for the development of peaceful uses of nuclear energy, as well as current challenges and future perspectives, were discussed. The closing lecture was given by Ambassador Rafael Grossi of Argentina. Participants included nuclear physicists, experts in international relations and diplomats from Argentina, Brazil Chile and Uruguay. The Seminar was opened by Rector Paulo Burman of UFSM and Pugwash President Sergio Duarte.